Takko Tuesday! - Cheshire Cat - Polish Etc. I have another older Takko Lacquer to share with you all today. And for a special treat, my pal Lotte is joining in on the fun today as well! I have been loving having my German polish sister doing Takko Tuesday with me once a month. Be sure to check out her post here. 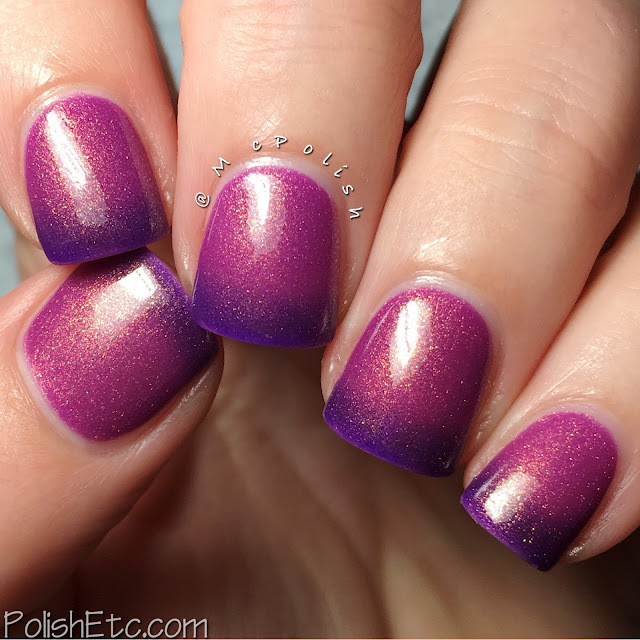 Well, today we are taking a closer look at "Cheshire Cat" which is a shimmery thermal. The coolest thing about this thermal is the color. 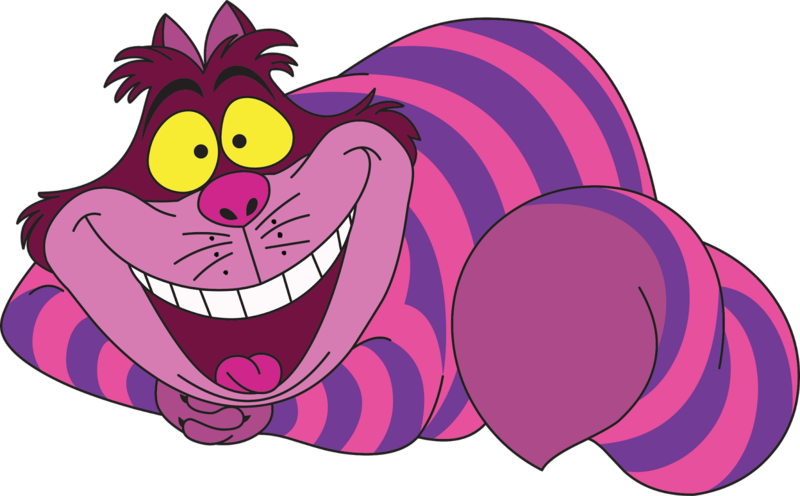 The warm and cold state matches the colors of the Cheshire Cat from Disney's Alice in Wonderland perfectly. His stripes alternate between a pinkish fuchsia and a grape purple. This polish is that nice fuchsia pink when it is warm and then shifts to the grape purple when it's cold (obviously my tips are colder than my nail beds here). Then there is a lovely golden shimmer that matches his yellow eyes. I love this polish! I have had this polish for well over a year now and it is still transitions nicely. I have two easy coats with a glossy top coat here. Super fun! This shade is not currently in stock on the Takko Lacquer website. But Sheryl has hinted at some older shades being restocked soon...perhaps this might show up there! I also have some exciting new to share about a new Takko Lacquer stockist. It has just been announced that my favorite stockist, Color4Nails, will be carrying Takkitos! And they ship internationally! I am not certain on the exact date, but stay tuned to Takko's social media for the official launch date. Don't forget to check out Lotte's post on Cheshire Cat today! It's so much more intense on your nails! :) I love it!